Seals: Description and Characteristics. What Does a Seal Look Like? How Long Do Seals Live? Seals are the amazing representatives of the animal world of our planet. They connect both marine and terrestrial lifestyles. What are seals? In general, seals are all representatives of the order Pinnipedia, which means “fin-footed”. 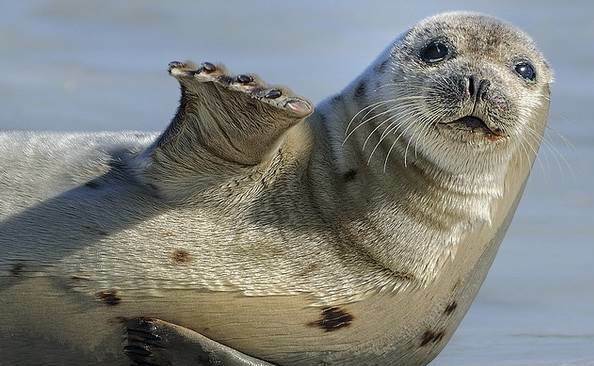 Seals are mammals which developed real flippers instead of traditional paws. What does a seal look like? Where do seals live? What seal species exist? Answers to all these questions and many more interesting facts about seals are found in this article. All seals are big animals. How much does a seal weigh? Seal weigh varies from 88 pounds (for the harbor seal) to 2200 pound (for the elephant seal) depending on the seal species. How big are seals? 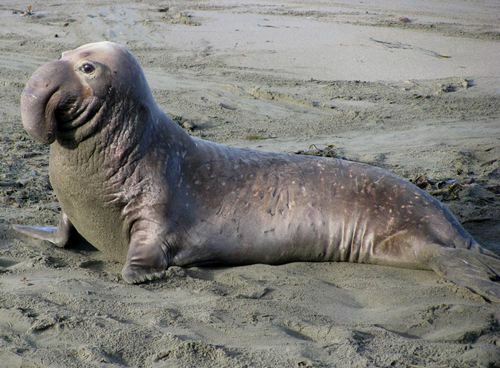 Seal length varies from 1.25 meters to 6.5 meters (for the elephant seal). 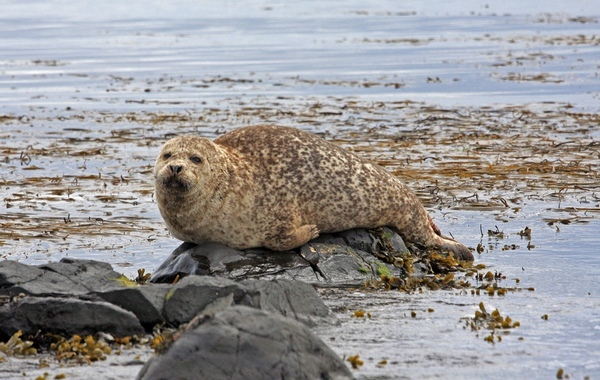 Many seals of the same species can change their size depending on the season since they tend to accumulate seasonal reserves of fat, which disappear in time. Seals have sleek bodies, ideal for gliding through the water. A seal’s neck is short and thick. A seal’s head is small compared to its body, but it has a flattened skull. Do seals have fur? Yes. Seals are covered with short and hard fur, which does not hinder their movement under water, and protects them from the cold. Besides this, seals have stocks of subcutaneous fat, which protects them from the Arctic and Antarctic cold. Seals are usually gray or brown; some species have a speckled pattern. 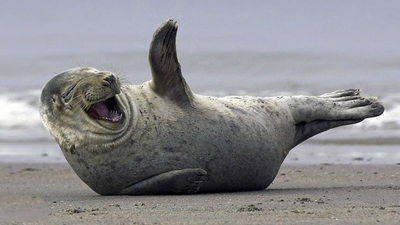 When you look at a seal, it seems that this creature is very clumsy and slow on land. This is true. Seals lean on the forelimbs and the belly while moving and the hind limbs just drag on the ground. It is very difficult for them to move on the ground especially considering a seal’s weight. Yet seals change completely once they are in the water. They are able to reach speeds of up to 25 km per hour in the water. In addition, the seals are excellent divers, capable of diving up to 600 m in depth. Seals flippers make them excellent swimmers and divers but clumsy walkers. A seal’s vision is not good (as is the case with all aquatic mammals), and all seals are short-sighted. Yet the poor eyesight is compensated by good hearing and smell, so seals can catch odors at a distance of 300-500 meters. 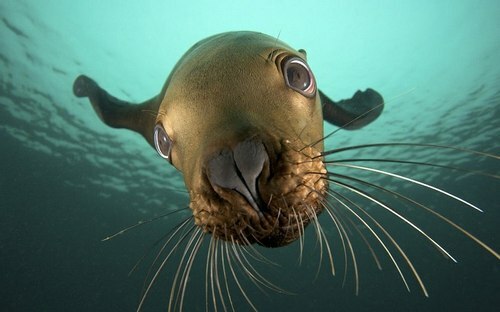 Besides this, seals have tactile vibrises (they are also called “whiskers”). They can find their way among underwater obstacles with the help of these vibrises. Some seal species have echolocation ability, although it is several times weaker than that of whales and dolphins. Where do seals live? They live almost everywhere, considering their marine lifestyle. Seals inhabit the coasts of the seas and oceans. Many seals live in the cold latitudes of the Arctic and Antarctic. 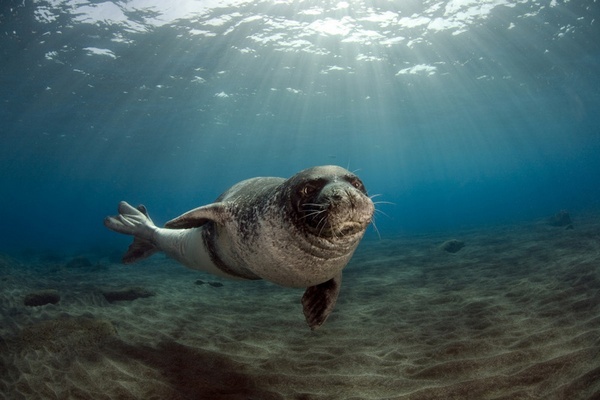 Besides this, some seals, such as the monk seal, live in the warm Mediterranean. Seal life span depends on gender, females live longer than males, and their life span is 35 years. Males live on average 25 years. Seals are peace-loving creatures; they practically do not fight among themselves, except for the mating season, when several males want one female, so even peace-loving seals can be violent in such a situation. Seals are clumsy on the ground, so they try to be closer to the water in order to dive into the water in case of danger. What do arctic seals eat? 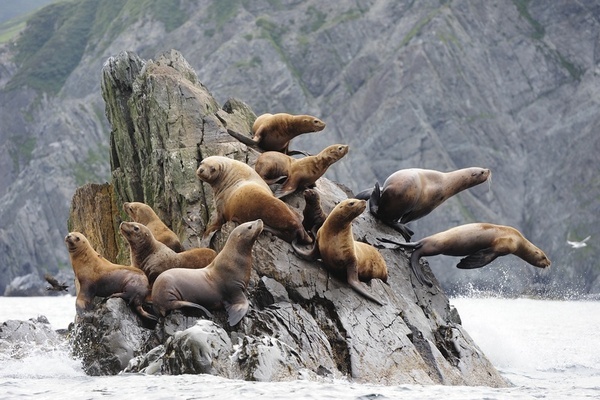 Seals are predators; the seal diet consists of various marine animals: fish, mollusks, crayfish and crabs. 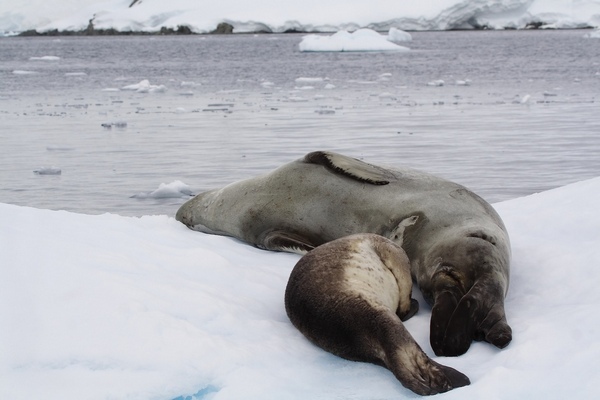 Large seals, such as the leopard seal may eat penguins and even other seals (from smaller species). Seals may become prey of other larger marine predators: sharks, killer whales. Sometimes arctic seals may also face danger in the form of polar bears and people. There are 24 species of seals. We will describe the most interesting of them. The Monk seal is the most thermophilic among the seals, as it prefers the warm waters of the Mediterranean, Hawaiian and Caribbean islands, (where it actually lives), to the cold Arctic and Antarctic frosts. The Monk seal is 2-3 meters. The Monk seal has a gray-brown color and a light belly, through which it received the second name – the white-bellied seal. The elephant seal is the largest seal in the world; its length can reach up to 6.5 meters. Besides this, the elephant seal looks like a real elephant considering its long nose. The elephant seals are divided into two subspecies: the northern elephant seal lives on the coast of North America, and the southern elephant seal lives in Antarctica. The Ross seal was named after the English explorer James Ross. The Ross seal has a very thick neck in folds, which can easily hide its head. 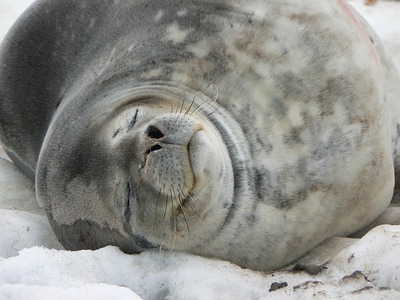 The Ross seal is little studied, as it lives in remote areas of Antarctica. 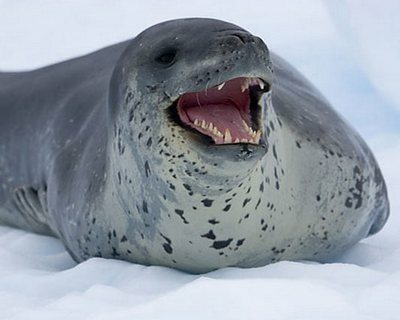 The leopard seal is the most dangerous and aggressive among other seals. 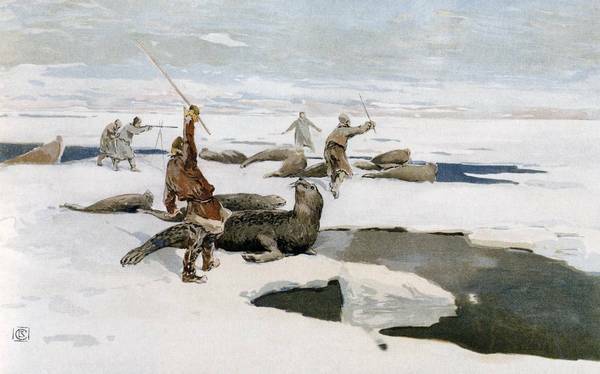 Sometimes, sea leopards may attack smaller seals of other species; while in general, they eat penguins. The leopard seal is the largest seal in the world, except for the elephant seal, its body length can be up to 4 meters. The leopard seal lives around the coast of Antarctica. The Weddell seal was named after English explorer James Weddell, the former commander of a research expedition to the Weddell Sea. The Weddell seal stands out for its remarkable ability to dive and stay underwater – while many other seals can be no more than 10 minutes in the depths of the sea, this seal can swim underwater for an hour. 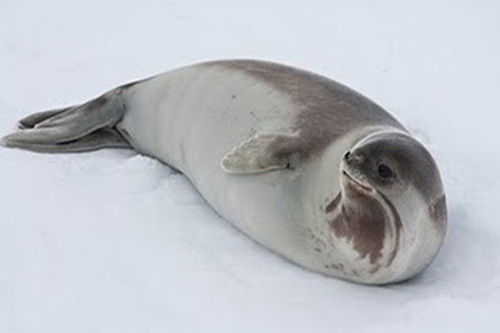 The Weddell seal lives in Antarctica. There are four subspecies of the harbor seal (depending on their habitat). The harbor seal lives in the northern Arctic: on the shores of North America, Scandinavia and in the northern part of Russia. Some subspecies of the harbor seal are threatened with extinction due to their poaching. Harp seals live on the coast of Greenland. 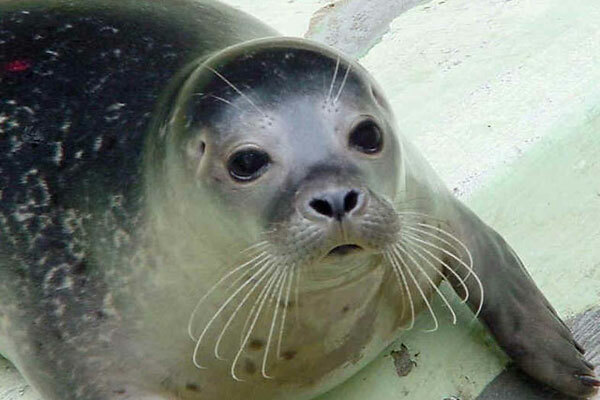 They differ from other seals by their characteristic coloration: only they have silver-gray wool, a black head, and a black horseshoe-shaped line, which extends from the shoulders on both sides. 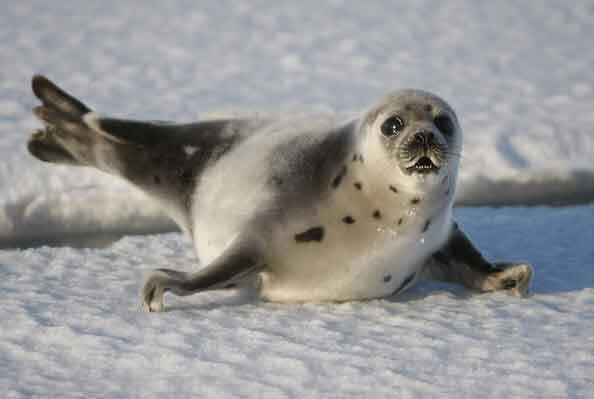 The harp seal is relatively small – the length of its body is 170-180 cm. Seals breed only once a year. Their mating period usually occurs at the end of the summer. Sometimes males fight with each other for female. Female seal pregnancy lasts for a year, after which only one baby is born. 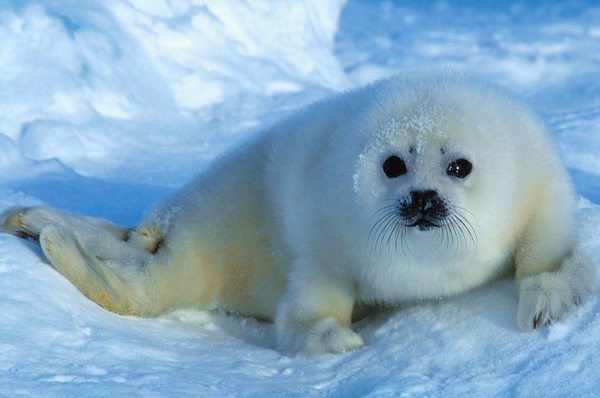 Baby seals have white skin. What is a baby seal called? Baby seals are called pups. Just like dogs have puppies, that we tend to call pups, seals have pups. Baby seals can’t go with their mother in the water, so most of the time they are on the shore or drifting ice floe. The mother seal feeds her babies with milk. Baby seals begin to grow in size quickly until they become adult seals. The age of the dead seal can be determined by the number of laps at the base of its canines. The mother’s milk of the female seal is the fattest in its composition (its fat content exceeds 50%). Only whales have the same fat milk. The seal scientific name in Latin translates as “little guinea pig”. Seals can cry like people. Though, unlike us, they have no lacrimal glands.